The real estate market is constantly changing and I work hard to be your knowledgeable resource! 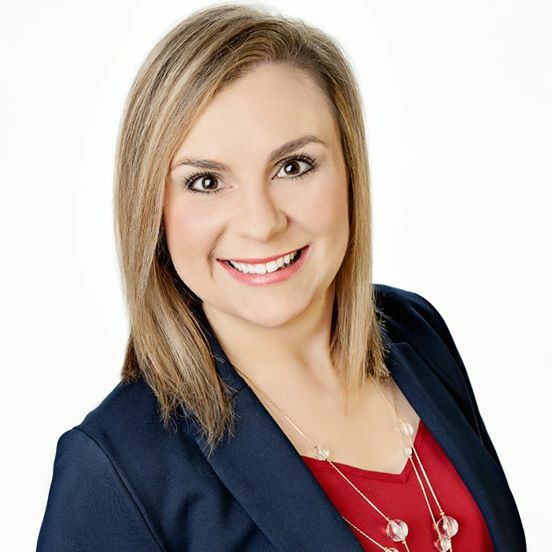 I utilize the latest technology and web tools to serve both buyers and sellers in the Greater Fort Smith area, including Arkansas and Oklahoma. I strive to create a positive experience for each of my clients by providing quality, honest, and prompt service. Let's get started today! Sold a Single Family home in 2019 for approximately $175K in Fort Smith, AR. Best experience we ever had when it comes to both buying and selling our home. Attention to details. Communication was awesome. Monika was helpful with every question or concern we had. Sold a Single Family home in 2018 in Lavaca, AR. Bought a Single Family home in 2018 for approximately $175K in Barling, AR. First time homebuyers. Monika explained the whole process so we could understand and feel like we were making knowledgeable decisions. She was very patient with us, we looked at maybe 20 houses and she never showed signs of frustration, even when we went looking in the rain. Monika helped point out little things in all the houses that we didn't even know to look for. She listened to our wants and never tried to push anything on us to pick something. She responded quickly and kept us informed of anything we might need to know. She helped us all the way through the process. We are very thankful to have met Monika and couldn't have had a better experience! Bought a Single Family home in 2018 for approximately $450K in Cabot, AR. Monika's knowledge of the process and sharp attention to detail is remarkable. She is a fierce negotiator with a kind disposition. She was always available to answer our questions and address our concerns. I would highly recommend her and will use her in all future real estate purchases! Bought a Single Family home in 2018 for approximately $150K in Fort Smith, AR. Monika was wonderful, went above and beyond! Worked around my schedule to get things done. Was a pleasure having her as our realtor and I highly recommend her! Bought and sold a Single Family home in 2018 for approximately $275K in Alma, AR. Monika is a very personable yet professional real estate agent. She is very honest and will not tell you things just to make a sale. With Monika's help, my wife and I were able to find our dream home (at a great price). Our type of home sale required all phases to be completed very quickly. Monika was very proactive to make sure items were in place. And when others were behind in the process she would give them "friendly nudges" to get their part finished and turned in. The process was flawless because of her tentativeness! Monica did everything to get this house for us. When the loan officer stop contacting us for a week. Monica jumped in and made sure it didn't happen again. I can't thank her enough for helping us! As first time home buyers, we were extremely nervous about the whole process, but Monika went above and beyond to quell our fears and help secure our new home. More than once she put her negotiation skills to the test and came out on top! She listened to our concerns/needs and met them with expert knowledge and compassion. 10 out of 10 would work with her again. Bought a Single Family home in 2017 for approximately $175K in Fort Smith, AR. Monika was absolutely amazing! She was very attentive to our needs and made herself completely available to us when we flew in for a weekend to find our home. Her follow through, excellent local expertise, and care for our needs was beyond what we expected. I highly recommend her for your real estate needs!! Bought a home in 2017 in Oak Park, Fort Smith, AR. Monika understands moving quickly is essential in a hot real Estate market. She made herself available which helped us find the perfect house and get our offer accepted within 1 day of the house being listed.